Nothing can be more devastating than a hurricane taking its toll on your roof and home. This damage can also destroy countless valuables with it. Keep your valuables safe this hurricane season with a secure concrete storage unit. Storing your items can save you from the heartbreak and stress you might experience at the hands of Mother Nature. 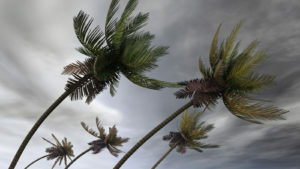 A storage unit is ideal for protecting valuables that would be difficult to replace should a hurricane hit your region. Self-storage is also a popular solution if you need to clear a safe room in your house to take shelter. The last thing you want to have to worry about in a natural disaster is the safety of your possessions. We’ve created a Hurricane Storage Guide to walk you through how to keep your belongings safe during a hurricane. Lighthouse Self Storage has many storage solutions to accommodate your hurricane storage needs in any emergency. Our convenient locations are clean, well-lit, and have the finest security measures. Let Lighthouse Self Storage in Miami, FL help you make extra space in your home and keep your items safe. If your home is near the location where the storm is projected to hit, get your items out of the way and into a storage unit rental. A heavy-duty concrete storage unit can protect your furniture and valuable items from the strongest of storms. Your outdoor items are the most prone to damage during a storm. Instead of leaving your vehicle outside or in your garage during a hurricane, consider a storage unit rental. At Lighthouse, we have spacious vehicle storage for your car, truck, boat, or RV. This can help to protect your vehicle from strong wind and projectiles that may damage it. Preparing for Hurricane Season and need a secure storage unit? Find a storage unit near you today. If you have any questions, fill out the Contact Us form. One of our Lighthouse storage unit experts will reach out to address your storage needs and concerns.